"Lieukieu" redirects here. For the names used in medieval Chinese sources that may refer to Taiwan, Penghu or Ryukyu, see Liuqiu. The Ryukyu Islands[note 1] (琉球諸島, Ryūkyū-shotō), also known as the Nansei Islands (南西諸島, Nansei-shotō, lit. "Southwest Islands") or the Ryukyu Arc (琉球弧, Ryūkyū-ko), are a chain of Japanese islands that stretch southwest from Kyushu to Taiwan: the Ōsumi, Tokara, Amami, Okinawa, and Sakishima Islands (further divided into the Miyako and Yaeyama Islands), with Yonaguni the westernmost. The larger are mostly high islands and the smaller mostly coral. The largest is Okinawa Island. The Ōsumi and Tokara Islands, the northernmost of the islands, fall under the cultural sphere of the Kyushu region of Japan; the people are ethnically Japanese and speak a variation of the Kagoshima dialect of Japanese. The Amami, Okinawa, Miyako, and Yaeyama Islands have a native population collectively called the Ryukyuan people, named for the former Ryukyu Kingdom that ruled them. The varied Ryukyuan languages are traditionally spoken on these islands, and the major islands have their own distinct languages. In modern times, the Japanese language is the primary language of the islands, with the Okinawan Japanese dialect prevalently spoken. The outlying Daitō Islands were uninhabited until the Meiji period, when their development was started mainly by people from the Izu Islands south of Tokyo, with the people there speaking the Hachijō language. Administratively, the islands are divided into Kagoshima Prefecture (specifically the islands administered by Kagoshima District, Kumage Subprefecture/District, and Ōshima Subprefecture/District) in the north and Okinawa Prefecture in the south, with the divide between the Amami and Okinawa Islands, with the Daitō Islands part of Okinawa Prefecture. The northern (Kagoshima) islands are collectively called the Satsunan Islands, while the southern part of the chain (Okinawa Prefecture) are called the Ryukyu Islands in Chinese. Takeshima, Iōjima, Kuroshima in the North-Western Group. The Geospatial Information Authority of Japan, another government organization that is responsible for standardization of place names, disagrees with the Japan Coast Guard over some names and their extent, but the two are working on standardization. They agreed on February 15, 2010, to use Amami-guntō (奄美群島) for the Amami Islands; prior to that, Amami-shotō (奄美諸島) had also been used. The English and Japanese uses of the term "Ryukyu" differ. 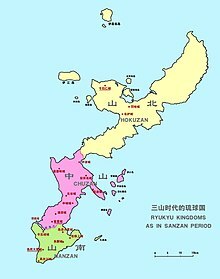 In English, the term Ryukyu may apply to the entire chain of islands, while in Japanese Ryukyu usually refers only to the islands that were previously part of the Ryūkyū Kingdom after 1624. Nansei-shotō (南西諸島) is the official name for the whole island chain in Japanese. Japan has used the name on nautical charts since 1907. Based on the Japanese charts, the international chart series uses Nansei Shoto. Nansei literally means "southwest", the direction of the island chain from mainland Japan. Some humanities scholars prefer the uncommon term Ryūkyū-ko (琉球弧, "Ryukyu Arc") for the entire island chain. In geology, however, the Ryukyu Arc includes subsurface structures such as the Okinawa Trough and extends to Kyushu. During the American occupation of Amami, the Japanese government objected to them being included under the name "Ryukyu" in English, because they worried that this might mean that the return of the Amami Islands to Japanese control would be delayed until the return of Okinawa. However, the American occupational government on Amami continued to be called the "Provisional Government for the Northern Ryukyu Islands" in English, though it was translated as Rinji Hokubu Nansei-shotō Seichō (臨時北部南西諸島政庁, Provisional Government for the Northern Nansei Islands) in Japanese. The name of Ryūkyū (琉球) is strongly associated with the Ryūkyū Kingdom, a kingdom that originated from the Okinawa Islands and subjugated the Sakishima and Amami Islands. The name is generally considered outdated[by whom?] in Japanese although some entities of Okinawa still bear the name, such as the local national university. In Japanese, the "Ryukyu Islands" (琉球諸島, Ryūkyū-shotō) cover only the Okinawa, Miyako, and Yaeyama Islands, while in English it includes the Amami and Dait�� Islands. The northern half of the island chain is referred to as the Satsunan ("South of Satsuma") Islands in Japanese, as opposed to Northern Ryukyu Islands in English. Humanities scholars generally agree that the Amami, Okinawa, Miyako, and Yaeyama Islands share much cultural heritage, though they are characterized by a great degree of internal diversity as well. There is, however, no good name for the group. The native population do not have their own name, since they do not recognize themselves as a group this size. Ryukyu is the principal candidate because it roughly corresponds to the maximum extent of the Ryūkyū Kingdom. However, it is not necessarily considered neutral by the people of Amami, Miyako, and Yaeyama, who were marginalized under the Okinawa-centered kingdom. The Ōsumi Islands are not included because they are culturally part of Kyushu. There is a high degree of confusion in use of Ryukyu in English literature. For example, Encyclopædia Britannica equates the Ryukyu Islands with Japanese Ryūkyū-shotō or Nansei-shotō in the definition but limits its scope to the Amami, Okinawa and Sakishima (Miyako and Yaeyama) in the content. "Ryūkyū" is an exonym and is not a self-designation. The word first appeared in the Book of Sui (636). Its obscure description of Liuqiu (流求) is the source of a never-ending scholarly debate over what was referred to by the name Taiwan, Okinawa or both. Nevertheless, the Book of Sui shaped perceptions of Ryūkyū for a long time. Ryūkyū was considered a land of cannibals and aroused a feeling of dread among surrounding people, from Buddhist monk Enchin who traveled to Tang China in 858 to an informant of the Hyōtō Ryūkyū-koku ki who traveled to Song China in 1243. Later, some Chinese sources used "Great Ryukyu" (Chinese: 大琉球; pinyin: Dà Liúqiú) for Okinawa and "Lesser Ryukyu" (Chinese: 小琉球; pinyin: Xiǎo Liúqiú) for Taiwan. Okinawan forms of "Ryūkyū" are Ruuchuu (ルーチュー) or Duuchuu (ドゥーチュー) in Okinawan and Ruuchuu (ルーチュー) in the Kunigami language. An Okinawan man was recorded as having referred to himself as a "Doo Choo man" during Commodore Matthew C. Perry's visit to the Ryūkyū Kingdom in 1852. From about 1829 until the mid-20th century, the islands' English name was spelled Luchu, Loochoo, or Lewchew. These spellings were based on the Chinese pronunciation of the characters "琉球", which in Mandarin is Liúqiú, as well as the Okinawan language's form Ruuchuu (ルーチュー). Uchinaa (沖縄), Okinawa in Japanese, is originally a native name for the largest island in the island chain. The Japanese map series known as the Ryukyu Kuniezu lists the island as Wokinaha Shima (悪鬼納嶋) in 1644 and Okinawa Shima (沖縄嶋) after 1702. The name was chosen by the Meiji government for the new prefecture when they annexed the Ryukyu Kingdom in 1879. "Okinawa" never extends to Kagoshima Prefecture. Outside the prefecture, Okinawa Prefecture is simply referred to as Okinawa. In Okinawa Prefecture, however, Okinawa is strongly associated with Okinawa Island, and in this sense, Okinawa excludes the Miyako and Yaeyama Islands. People in the Yaeyama Islands would use the expression "go to Okinawa" when they visit Okinawa Island. People from the Amami Islands, Kagoshima Prefecture would also oppose being included in Okinawa. Some scholars feel the need to group the Amami and Okinawa Islands because Amami is closer to Okinawa in some respects, for example from a linguistic point of view, than Miyako and Yaeyama. Japanese scholars use "Amami–Okinawa" while American and European scholars use "Northern Ryukyuan". They have no established single-word term for the group since the native population had not felt the need for such a concept. The folklorist Kunio Yanagita and his followers used Nantō (南島, "Southern Islands"). This term was originally used by the imperial court of Ancient Japan. Yanagita hypothesized that the southern islands were the origin of the Japanese people and preserved many elements that were subsequently lost in Japan. The term is outdated today. The first possible mentions of the islands are in the Annals of the Qin Dynasty. Qin Shi Huang heard of "happy immortals" living on the Eastern Islands, so he sent expeditions there to find the source of immortality, to no avail. [page needed] While some purport that these expeditions reached Japan and launched a social and agricultural revolution, the same events are marked in Ryukyuan folklore on Kudaka Island. The Eastern Islands are again mentioned as the land of immortals in the Annals of the Han Dynasty. In 601, the Chinese sent an expedition to the "Country of Liuqiu" (流求國). They noted that the people were small but pugnacious. The Chinese couldn't understand the local language and returned to China. In 607, they sent another expedition to trade, and brought back one of the islanders. A Japanese embassy was in Loyang when the expedition returned, and one of the Japanese exclaimed that the islander wore the dress and spoke the language of Yaku Island. In 610, a final expedition was sent with an army that demanded submission to the Chinese Emperor. The islanders fought the Chinese, but their "palaces" were burned and "thousands" of people were taken captive, and the Chinese left the island. The island chain appeared in Japanese written history as Southern Islands (南島, Nantō). The first record of the Southern Islands is an article of 618 in the Nihonshoki (720) which states that people of Yaku (掖玖,夜勾) followed the Chinese emperor's virtue. In 629, the imperial court dispatched an expedition to Yaku. Yaku in historical sources was not limited to modern-day Yakushima but seems to have covered a broader area of the island chain. In 657, several persons from Tokara (都貨邏, possibly Dvaravati) arrived at Kyushu, reporting that they had first drifted to Amami Island (海見島, Amamijima), which is the first attested use of Amami. Articles of the late 7th century give a closer look at the southern islands. In 677, the imperial court gave a banquet to people from Tane Island (多禰島, Tanejima). In 679, the imperial court sent a mission to Tane Island. The mission carried some people from the southern islands who were described as the peoples of Tane, Yaku, and Amami (阿麻弥) in the article of 682. According to the Shoku Nihongi (797), the imperial court dispatched armed officers in 698 to explore the southern islands. As a result, people of Tane, Yaku, Amami and Dokan visited the capital (then Fujiwara-kyō) to pay tribute in the next year. Historians identify Dokan as Tokunoshima of the Amami Islands. An article of 714 reports that an investigative team returned to the capital, together with people of Amami, Shigaki (信覚), and Kumi (球美) among others. Shigaki should be Ishigaki Island of the Yaeyama Islands. Some identify Kumi as Iriomote Island of the Yaeyama Islands because Komi is an older name for Iriomote. Others consider that Kumi corresponded to Kume Island of the Okinawa Islands. Around this time "Southern Islands" replaced Yaku as a collective name for the southern islands. In the early 8th century, the northern end of the island chain was formally incorporated into the Japanese administrative system. After a rebellion was crushed, Tane Province was established around 702. Tane Province consisted of four districts and covered Tanegashima and Yakushima. Although the tiny province faced financial difficulties from the very beginning, it was maintained until 824 when it was merged into Ōsumi Province. Ancient Japan's commitment to the southern islands is attributed to ideological and strategic factors. Japan applied to herself the Chinese ideology of emperorship that required "barbarian people" who longed for the great virtue of the emperor. Thus Japan treated people on its periphery, i.e., the Emishi to the east and the Hayato and the Southern Islanders to the south, as "barbarians". The imperial court brought some of them to the capital to serve the emperor. The New Book of Tang (1060) states at the end of the chapter of Japan that there were three little princes of Yaku (邪古), Haya (波邪), and Tane (多尼). This statement should have based on a report by Japanese envoys in the early 8th century who would have claimed the Japanese emperor's virtue. At the site of Dazaifu, the administrative center of Kyushu, two wooden tags dated in the early 8th century were unearthed in 1984, which read "Amami Island" (㭺美嶋, Amamijima) and "Iran Island" (伊藍嶋, Iran no Shima) respectively. The latter seems to correspond to Okinoerabu Island. These tags might have been attached to "red woods", which, according to the Engishiki (927), Dazaifu was to offer when they were obtained from the southern islands. The southern islands had strategic importance for Japan because they were on one of the three major routes used by Japanese missions to Tang China (630–840). The 702 mission seems to have been the first to successfully switch from the earlier route via Korea to the southern island route. The missions of 714, 733 and 752 probably took the same route. In 754 the Chinese monk Jianzhen managed to reach Japan. His biography Tō Daiwajō Tōseiden (779) makes reference to Akonaha (���児奈波) on the route, which may refer to modern-day Okinawa Island. An article of 754 states that the government repaired mileposts that had originally been set in the southern islands in 735. However, the missions from 777 onward chose another route that directly connected Kyūshū to China. Thereafter the central government lost its interest in the southern islands. The southern islands reappeared in written history at the end of the 10th century. According to the Nihongi ryaku (c. 11th–12th centuries), Dazaifu, the administrative center of Kyushu, reported that the Nanban (southern barbarians) pirates, who were identified as Amami islanders by the Shōyūki (982–1032 for the extant portion), pillaged a wide area of Kyūshū in 997. In response, Dazaifu ordered "Kika Island" (貴駕島, Kikashima) to arrest the Nanban. This is the first attested use of Kikaigashima, which is often used in subsequent sources. The series of reports suggest that there were groups of people with advanced sailing technology in Amami and that Dazaifu had a stronghold in Kikai Island. In fact, historians hypothesize that the Amami Islands were incorporated into a trade network that connected it to Kyūshū, Song China and Goryeo. In fact, the Shōyūki recorded that in the 1020s, local governors of southern Kyūshū presented to the author, a court aristocrat, local specialties of the southern islands including the Chinese fan palm, red woods, and shells of Green Turban Shell. The Shinsarugakuki, a fictional work written in the mid-11th century, introduced a merchant named Hachirō-mauto, who traveled all the way to the land of the Fushū in the east and to Kika Island (貴賀之島, Kikanoshima) in the west. The goods he obtained from the southern islands included shells of Green Turban Shell and sulfur. The Shinsarugakuki was not mere fiction; the Golden Hall of Chūson-ji (c. 1124) in northeastern Japan was decorated with tens of thousands of green turban shells. Some articles of 1187 of the Azuma Kagami state that Ata Tadakage of Satsuma Province fled to Kikai Island (貴海島, Kikaishima) sometime around 1160. The Azuma Kagami also states that in 1188 Minamoto no Yoritomo, who soon became the shōgun, dispatched troops to pacify Kikai Island (貴賀井島, Kikaishima). It was noted that the imperial court objected the military expedition claiming that it was beyond Japan's administration. The Tale of the Heike (13th century) depicted Kikai Island (鬼界島, Kikaishima), where Shunkan, Taira no Yasuyori, and Fujiwara no Naritsune were exiled following the Shishigatani Incident of 1177. The island depicted, characterized by sulfur, is identified as Iōjima of the Ōsumi Islands, which is part of Kikai Caldera. Since China's invention of gunpowder made sulfur Japan's major export, Sulfur Island or Iōgashima became another representative of the southern islands. It is noted by scholars that the character representing the first syllable of Kikai changed from ki (貴, noble) to ki (鬼, ogre) from the end of the 12th century to the early 13th century. Koremune no Tadahisa, a retainer of the Fujiwara family, was appointed as a steward of Shimazu Estate in 1185. He was then named shugo of Satsuma and Ōsumi (and later Hyūga) Provinces by first shōgun Minamoto no Yoritomo in 1197. He became the founder of the Shimazu clan. Tadahisa lost power when his powerful relative Hiki Yoshikazu was overthrown in 1203. He lost the positions of shugo and jitō and only regained the posts of shugo of Satsuma Province and jitō of the Satsuma portion of Shimazu Estate. The shugo of Ōsumi Province and jitō of the Ōsumi portion of Shimazu Estate, both of which controlled Tanegashima, were succeeded by the Hōjō clan (especially its Nagoe branch). The Nagoe family sent the Higo clan to rule Ōsumi. A branch family of the Higo clan settled in Tanegashima and became the Tanegashima clan. The islands other than Tanegashima were grouped as the Twelve Islands and treated as part of Kawanabe District, Satsuma Province. The Twelve Islands were subdivided into the Near Five (口五島/端五島, Kuchigoshima/Hajigoshima) and the Remote Seven (奥七島, Okunanashima). The Near Five consisted of the Ōsumi Islands except Tanegashima while the Remote Seven corresponded to the Tokara Islands. After the Jōkyū War in 1221, the jitō of Kawanabe District was assumed by the Hōjō Tokusō family. The Tokusō family let its retainer Chikama clan rule Kawanabe District. In 1306, Chikama Tokiie created a set of inheritance documents that made reference to various southern islands. The islands mentioned were not limited to the Twelve but included Amami Ōshima, Kikai Island and Tokunoshima (and possibly Okinoerabu Island) of the Amami Islands. An extant map of Japan held by the Hōjō clan describes Amami as a "privately owned district". The Shimazu clan also claimed the rights to the Twelve. In 1227 Shōgun Kujō Yoritsune affirmed Shimazu Tadayoshi's position as the jitō of the Twelve Islands among others. After the Kamakura shogunate was destroyed, the Shimazu clan increased its rights. In 1364, it claimed the "eighteen islands" of Kawanabe District. In the same year, the clan's head Shimazu Sadahisa gave his son Morohisa properties in Satsuma Province including the Twelve Islands and the "extra five" islands. The latter must be the Amami Islands. Tanegashima is known in Japanese history for the introduction of European firearms to Japan. Around 1543, a Chinese junk with Portuguese merchants on board was driven to Tanegashima. Tanegashima Tokitaka succeeded in reproducing matchlock rifles obtained from the Portuguese. Within a few decades, firearms, then known as tanegashima, were spread across Sengoku Japan. The Amami Islands were a focal point for dispute between the southward-expanding Satsuma Domain and the northward-expanding Ryukyu Kingdom. 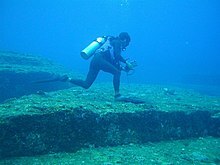 In 1453, a group of Koreans were shipwrecked on Gaja Island, where they found the island half under the control of Satsuma and half under the control of Ryukyu. Gaja Island is only 80 miles from Satsuma's capital at Kagoshima City. The Koreans noted that the Ryukyuans used guns "as advanced as in [Korea]". Other records of activity in the Amami Islands show Shō Toku's conquest of Kikai Island in 1466, a failed Satsuma invasion of Amami Ōshima in 1493, and two rebellions on Amami Ōshima during the 16th century. The islands were finally conquered by Satsuma during the 1609 Invasion of Ryukyu. The Tokugawa shogunate granted Satsuma the islands in 1624. During the Edo Period, Ryukyuans referred to Satsuma's ships as "Tokara ships". Polities of the Okinawa Islands were unified as the Ryūkyū Kingdom in 1429. The kingdom conquered the Miyako and Yaeyama Islands. At its peak, it also subjected the Amami Islands to its rule. In 1609, Shimazu Tadatsune, Lord of Satsuma, invaded the Ryūkyū Kingdom with a fleet of 13 junks and 2,500 samurai, thereby establishing suzerainty over the islands. They faced little opposition from the Ryukyuans, who lacked any significant military capabilities, and who were ordered by King Shō Nei to surrender rather than to suffer the loss of precious lives. After that, the kings of the Ryukyus paid tribute to the Japanese shōgun as well as to the Chinese emperor. During this period, Ryukyu kings were selected by a Japanese clan, unbeknownst to the Chinese, who believed the Ryukyus to be a loyal tributary. In 1655, the tributary relations between Ryukyu and Qing were formally approved by the shogunate. In 1874, the Ryukyus terminated tribute relations with China. In 1872, the Japanese government established the Ryukyu han under the jurisdiction of the Foreign Ministry. In 1875, jurisdiction over the Ryukyus changed from the Foreign Ministry to the Home Ministry. In 1879, the Meiji government announced the annexation of the Ryukyus, establishing it as Okinawa Prefecture and forcing the Ryukyu king to move to Tokyo. When China signed the Treaty of Shimonoseki after its 1895 defeat in the First Sino-Japanese War, China officially abandoned its claims to the Ryukyus. American military control over Okinawa began in 1945 with the establishment of the United States Military Government of the Ryukyu Islands, which in 1950 became the United States Civil Administration of the Ryukyu Islands. Also in 1950, the Interim Ryukyus Advisory Council (臨時琉球諮詢委員会, Rinji Ryūkyū Shijun Iinkai) was formed, which evolved into the Ryukyu Provisional Central Government (琉球臨時中央政府, Ryūkyū Rinji Chūō Seifu) in 1951. In 1952, the U.S. was formally granted control over Ryukyu Islands south of 29°N latitude, and other Pacific islands, under the San Francisco Peace Treaty between the Allied Powers and Japan. The Ryukyu Provisional Central Government then became the Government of the Ryukyu Islands which existed from 1952 to 1972. Administrative rights reverted to Japan in 1972. Today, numerous issues arise from Okinawan history. Some Ryukyuans and some Japanese feel that people from the Ryukyus are different from the majority Yamato people. Some natives of the Ryukyus claim that the central government is discriminating against the islanders by allowing so many American soldiers to be stationed on bases in Okinawa with a minimal presence on the mainland. Additionally, there is some discussion of secession from Japan. As the territorial dispute between China and Japan over the Senkaku Islands intensified in the early 21st century, Communist Party of China-backed scholars published essays calling for a reexamination of Japan's sovereignty over the Ryukyus. In 2013 The New York Times described the comments by said scholars as well as military figures as appearing to constitute "a semiofficial campaign in China to question Japanese rule of the islands", noting that "almost all the voices in China pressing the Okinawa issue are affiliated in some way with the government". This happens because Ryukyu is a territory that Japan has successfully wrested from China historically. Many popular singers and musical groups come from Okinawa Prefecture. These include the groups Speed and Orange Range, as well as solo singers Namie Amuro and Gackt, among many others. Loo-Choo, Lu-Tchu, or Lieu-Kieu, a group of thirty-six islands stretching from Japan to Formosa, in 26°–27°40′ N. lat., 126°10′–129°5′ E. long., and tributary to Japan. The largest, Tsju San ('middle island'), is about 60 miles long and 12 [miles] broad; others are Sannan in the [south] and Sanbok in the [north]. Nawa, the chief port of Tsju San, is open to foreign commerce. The islands enjoy a magnificent climate and are highly cultivated and very productive. Among the productions are tea, rice, sugar, tobacco, camphor, fruits, and silk. The principal manufactures are cotton, paper, porcelain, and lacquered ware. The people, who are small, seem a link between the Chinese and Japanese. The residents of the island chain are currently Japanese citizens. Labeling them as Japanese poses no problem with regard to the Ōsumi Islands and Tokara Islands in the north, but there are problems about the ethnicity of the residents of the central and southern groups of the island chain. Scholars who recognize shared heritage among the native population of the Amami, Okinawa, Miyako and Yaeyama Islands label them as Ryukyuans (琉球人, Ryūkyūjin). But nowadays, the residents of these Ryukyu Islands do not identify themselves as such, although they share the notion that they are somewhat different from Japanese, whom they call "Yamato" or "Naicha". Now, they usually express self-identity as the native of a particular island. Their identity can extend to an island and then to Japan as a whole, but rarely to intermediate regions. For example, the people of Okinawa Island refer to themselves as Uchinaanchu (ウチナーンチュ, people of Okinawa) and the people of Okinoerabujima in the Amami Islands call themselves the Erabunchu (エラブンチュ, people of Erabu), while referring to the Okinawans as Uchinaanchu or Naafanchu (ナーファンチュ, people of Naha), as they consider themselves distinct from the Okinawans. Other terms used include Amaminchu (アマミンチュ) and Shimanchu (シマンチュ) in the Amami Islands, Yeeyamabitu (イェーヤマビトゥ) in the Yaeyama Islands, Yunnunchu (ユンヌンチュ) on Yoronjima and Myaakunchuu (ミャークンチュー) in the Miyako Islands. The indigenous Ryukyuan religion is generally characterized by ancestor worship (more accurately termed "ancestor respect") and the respecting of relationships between the living, the dead, and the gods and spirits of the natural world. Some of its beliefs indicative of its ancient animistic roots, such as those concerning local spirits and many other beings classified between gods and humans. Ryukyuan religious practice has been influenced by Chinese religions (Taoism, Confucianism, and folk beliefs), Buddhism and Japanese Shinto. Roman Catholics are pastorally served by their own Roman Catholic Diocese of Naha, which was founded in 1947 as the "Apostolic Administration of Okinawa and the Southern Islands". The coral reefs are among the World Wildlife Fund's Global 200 ecoregions. The reefs are endangered by sedimentation and eutrophication, which result from agriculture as well as fishing. Mammals endemic to the islands include Amami Rabbit, Ryukyu flying fox, Ryukyu long-tailed giant rat, Ryukyu shrew and perhaps Iriomote cat. Birds found in the Ryukyus include the Amami woodcock, the Izu thrush, the Japanese paradise flycatcher, the narcissus flycatcher, the Okinawa rail (yanbaru kuina), the Lidth's Jay, the Ryukyu kingfisher, the Ryukyu minivet, the Ryukyu robin, the Ryūkyū scops owl, the extinct Ryukyu wood pigeon, Amami woodpecker and the Okinawa woodpecker. Approximately one half of the amphibian species of the islands are endemic. Endemic amphibians include the sword-tail newt, Hyla hallowellii, Holst's frog, Otton frog, Ishikawa's frog, the Ryukyu tip-nosed frog, and Namiye's frog. Other rare amphibians include Anderson's crocodile newt and the Kampira Falls frog. Various venomous species of viper known locally as habu also inhabit the Ryukyus, including Protobothrops elegans, Protobothrops flavoviridis, Protobothrops tokarensis, and Ovophis okinavensis. Other snakes native to the Ryukyus are Achalinus werneri, Achalinus formosanus, Elaphe carinata, Elaphe taeniura, Cyclophiops semicarinatus, Cyclophiops herminae, Dinodon semicarinatum, Lycodon rufozonatus, Calamaria pfefferri, Amphiesma pryeri, Calliophis japonicus, Laticauda semifasciata, and Hydrophis ornatus. ^ Tsuneyoshi, Ukita (1993). Nihon-dai-chizuchō (Grand Atlas Japan). Heibonsha. ISBN 978-4-582-43402-6. ^ "『奄美群島』を決定地名に採用". Geospatial Information Agency of Japan. Archived from the original on 31 July 2012. Retrieved 23 November 2011. ^ "(りゅうきゅう〔リウキウ〕【琉球】)". Daijisen dictionary / Yahoo Japan. Archived from the original on 2012-07-22. Retrieved 2007-05-06. ^ "Ryūkyū Shotō (りゅうきゅう‐しょとう【琉球諸島】)". Daijisen dictionary / Yahoo Japan. Archived from the original on 2012-07-09. Retrieved 2007-05-04. ^ Or, rarely, Duuchuu (ドゥーチュー). "語彙詳細 ― 首里・那覇方言". University of the Ryukyus. Retrieved 2012-01-01. ^ "Radar AMeDAS Live: Amami-Okinawa Region (レーダーアメダス実況　奄美・沖縄地方)". Weather Service Inc. (ウェザー・サービス株式会社). Archived from the original on 2011-07-22. Retrieved 2007-05-06. ^ Heinrich, Patrick et al. Handbook of the Ryukyuan Languages. 2015. Pp 13–15. ^ Lee, Khoon Choy (1995). Japan: Between Myth and Reality. World Scientific publishing. ISBN 978-981-02-1865-2. ^ "Okinawa Hai – Kudaka Island". Okinawa Hai. ^ "隋書/卷81 - 维基文库，自由的图书馆". zh.wikisource.org. Retrieved 10 December 2017. ^ a b c d Yasutani Suzuki 鈴木靖民, Nantō-jin no raichō wo meguru kisoteki kōsatsu 南島人の来朝をめぐる基礎的考察, Higashi Ajia to Nihon 東アジアと日本, pp. 347–98, 1987. ^ Shūichi Nagayama 永山修一, Bunken kara mita Kikaigashima 文献か���見たキカイガシマ, Yoshifumi Ikeda ed., Kodai chūsei no kyōkai ryōiki 古代中世の境界領域, pp. 123–150, 2008. ^ Turnbull, Stephen. The Samurai Capture a King: Okinawa 1609. Osprey Publishing, 2009. Pp 9. ^ Economy, Elizabeth C. (July–August 2017). "History With Chinese Characteristics: How China's Imagined Past Shapes Its Present". Foreign Affairs. Vol. 96 no. 4. New York: Council on Foreign Relations. ^ a b c d Lin, Man-houng Lin. "The Ryukyus and Taiwan in the East Asian Seas: A Longue Durée Perspective", Asia-Pacific Journal: Japan Focus. October 27, 2006, translated and abridged from Academia Sinica Weekly, No. 1084. 24 August 2006. ^ Klaproth, Julius. (1832). San kokf tsou ran to sets, ou Aperçu général des trois royaumes, pp. 169–180.